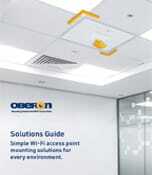 Oberon Inc. - Oberon Inc. The Model 1044 is an economical, aesthetic, and easy-to-install suspended ceiling mounting Envelop™ kit for APs and antennas from most vendors. A cutout is made in the ceiling tile, and the tile bridge is placed above the ceiling tile. 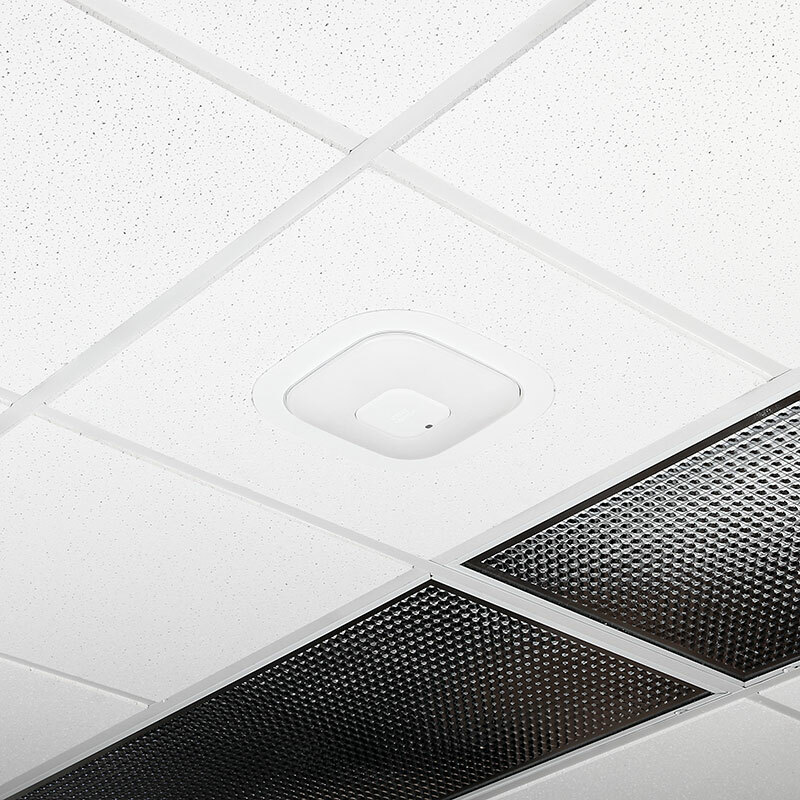 The AP or antenna is attached to the white trim. 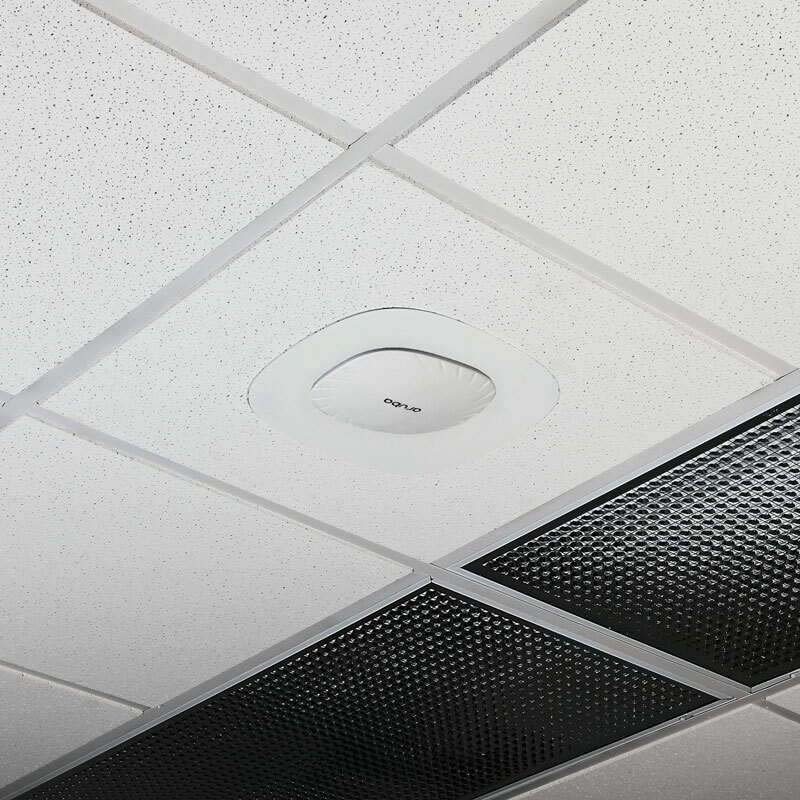 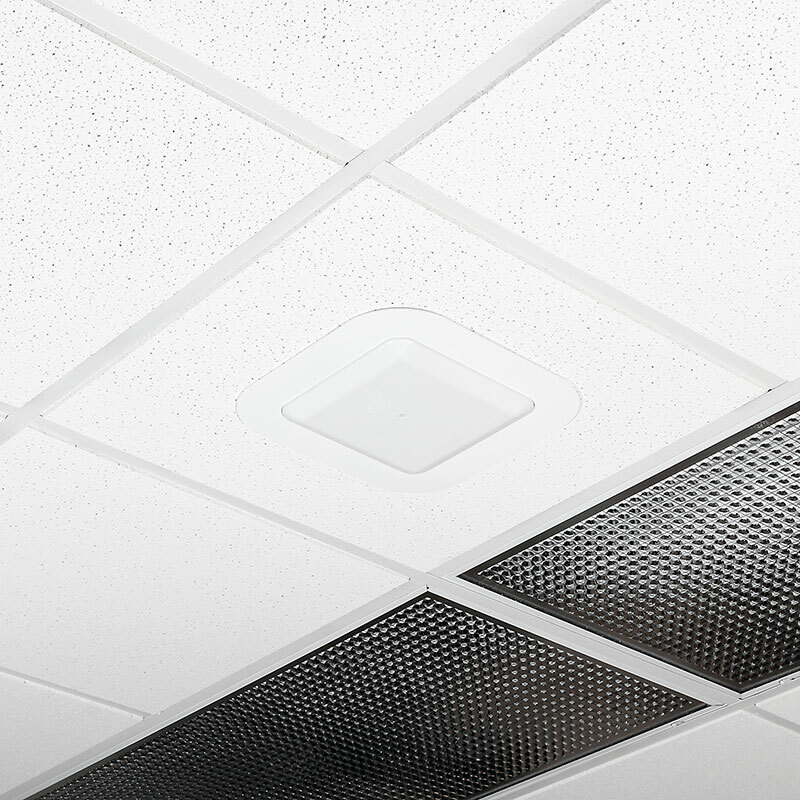 The AP/antenna/trim assembly is then drawn into the ceiling tile bridge with torsion springs, as with some recessed lighting fixtures, with only the front face exposed for ideal, unobstructed wireless coverage. 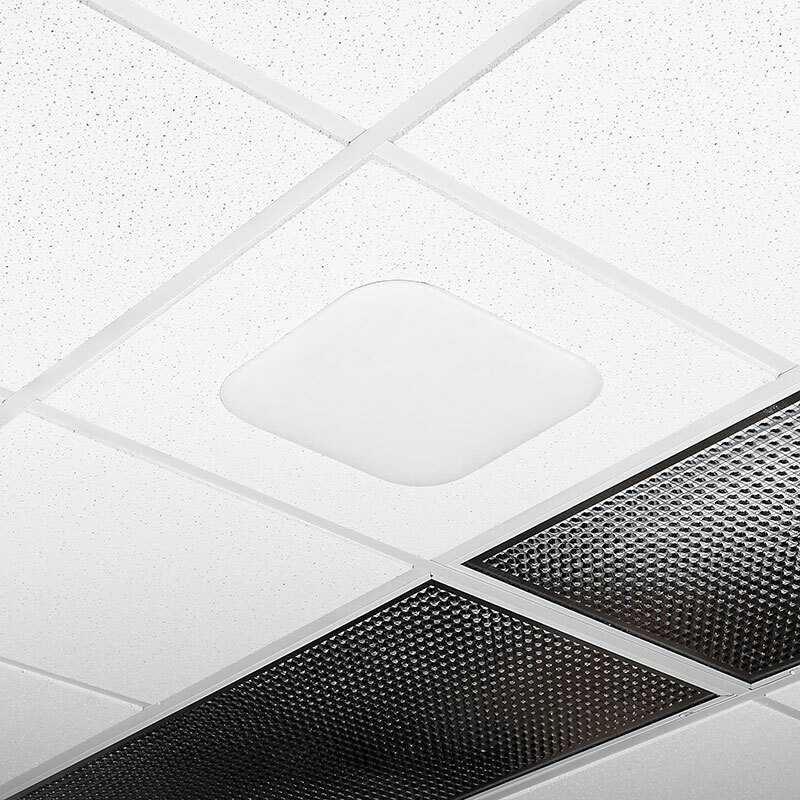 Model 1044-FL recesses AP behind a low profile ABS plastic cover. 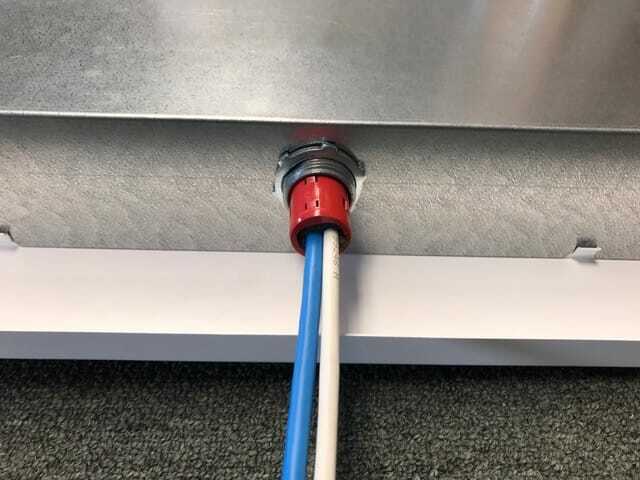 AP trim can be easily swapped out for new trim if the AP brand or model is changed in the future.